Where do asteroids come from? The origin of asteroids remains the subject of scientific study. 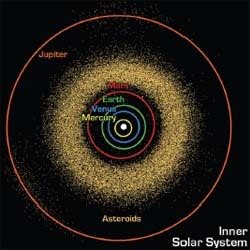 Astronomers today think that most asteroids are planetesimals that never quite combined with other bodies to form planets. Some asteroids, on the other hand, may be the shattered remains of planets or protoplanets that suffered huge collisions and broke into pieces.